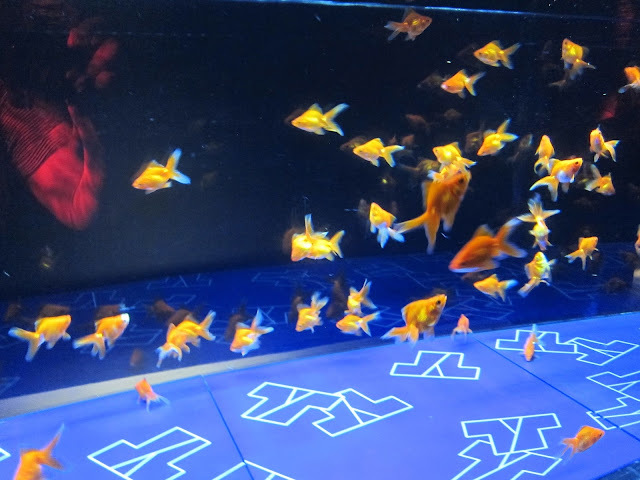 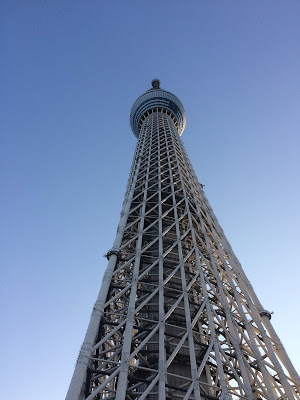 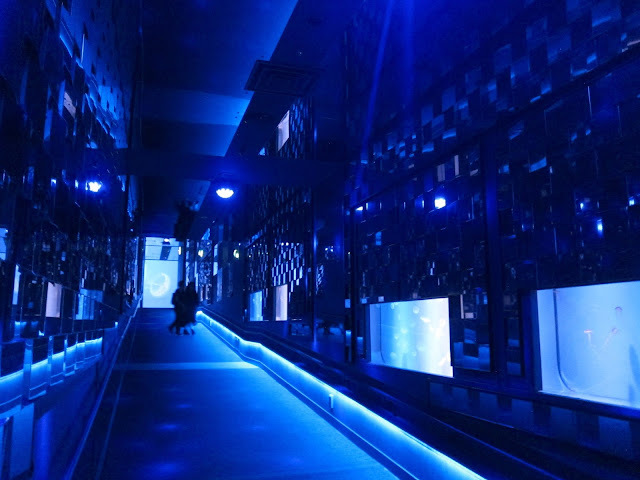 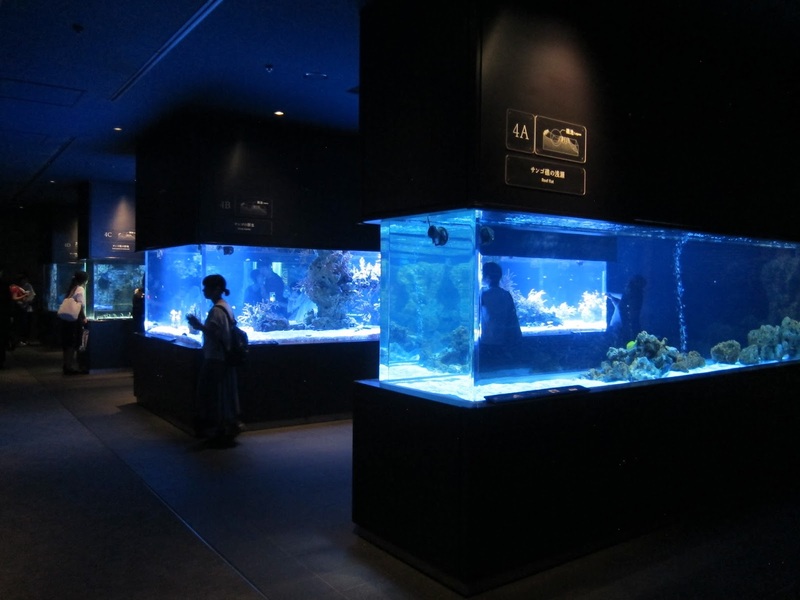 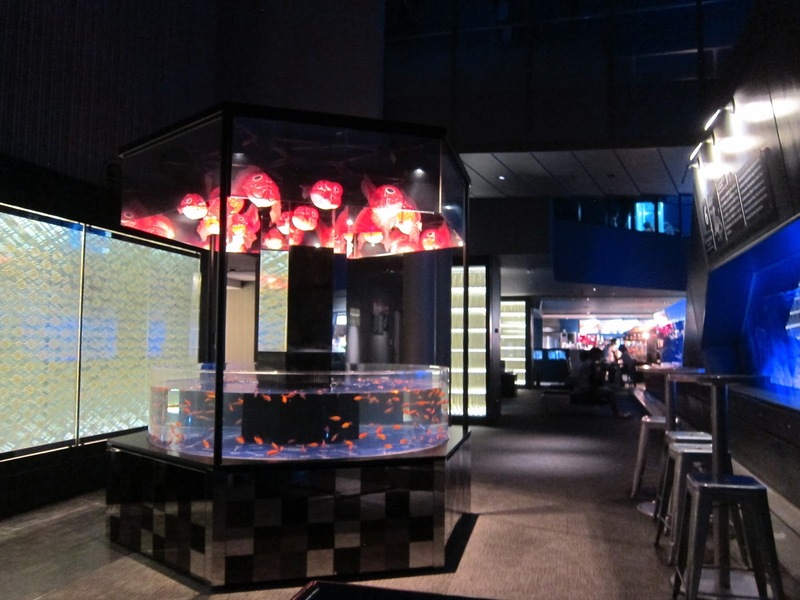 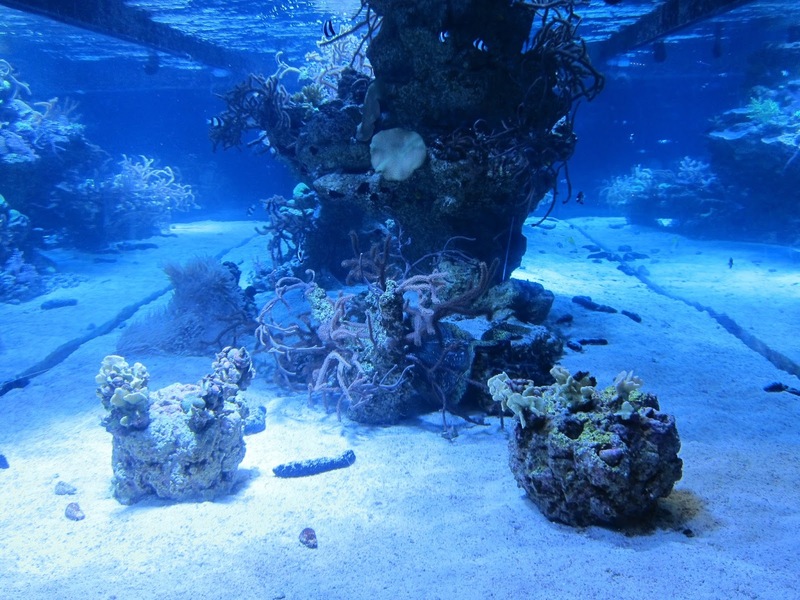 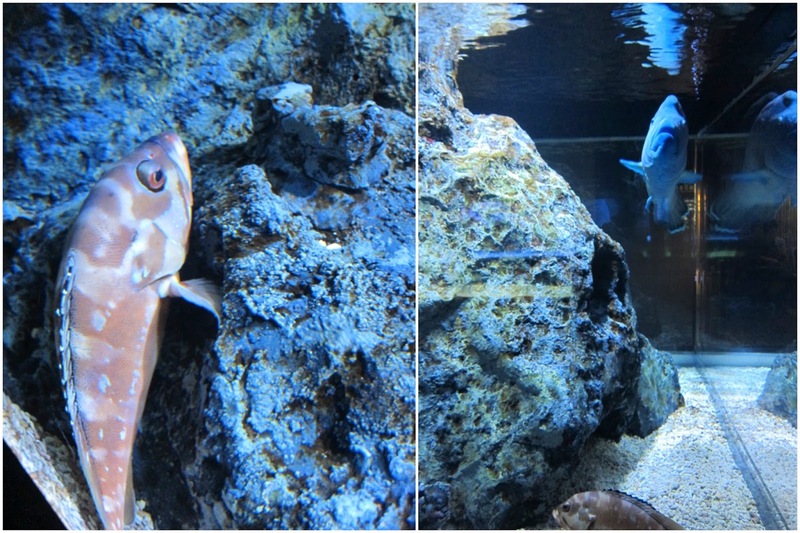 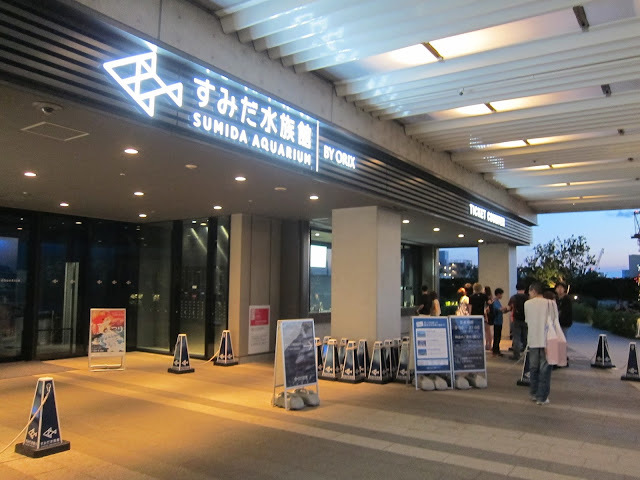 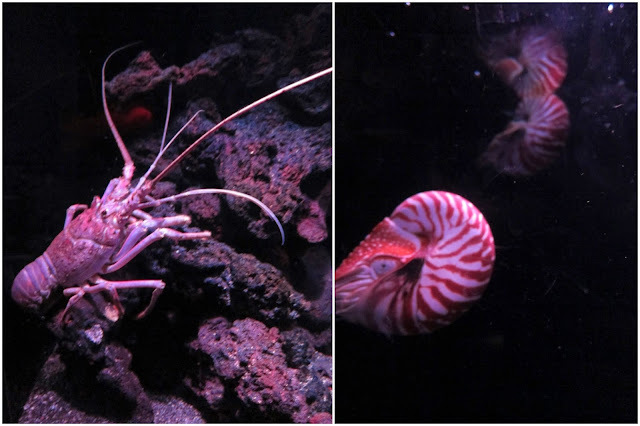 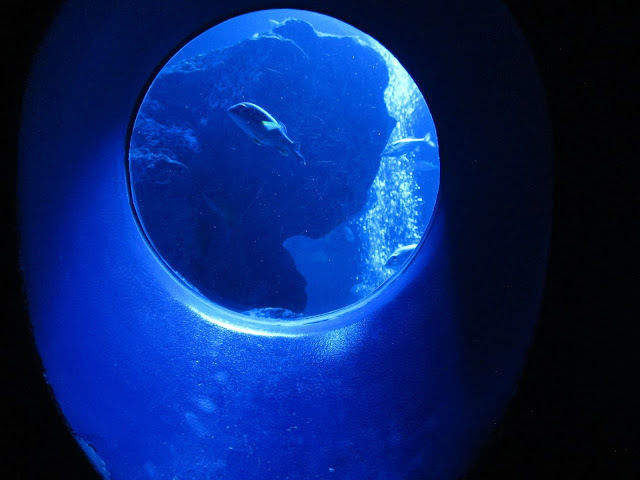 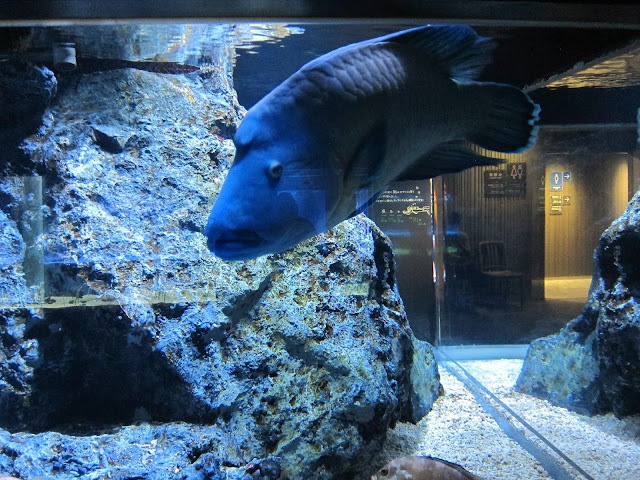 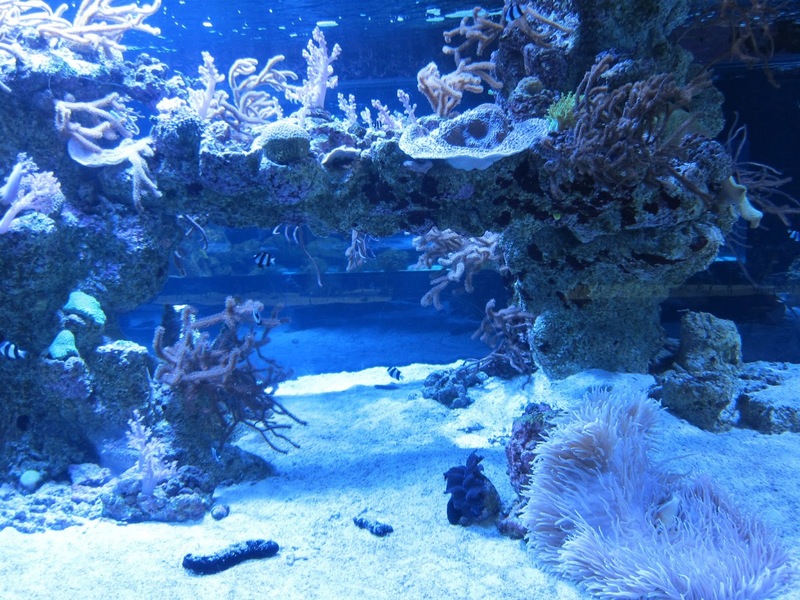 The Sumida Aquarium is not Japan’s largest or most exciting aquarium, but it gets special props for being located at the base of the tallest building in the city – the Tokyo Skytree. 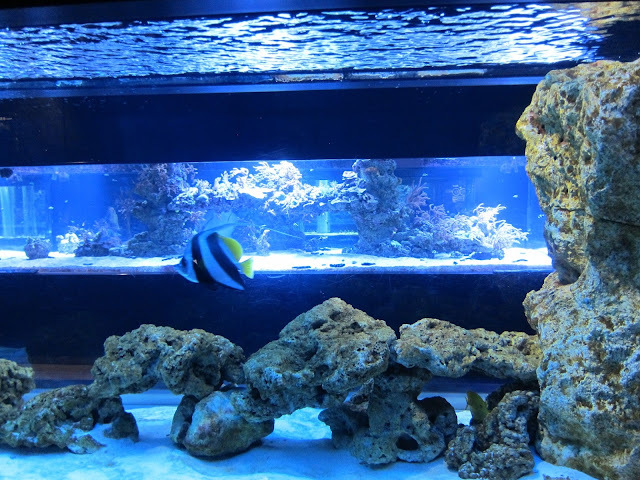 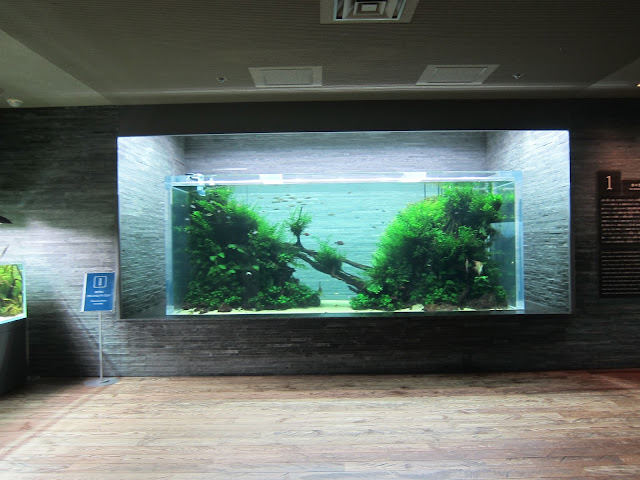 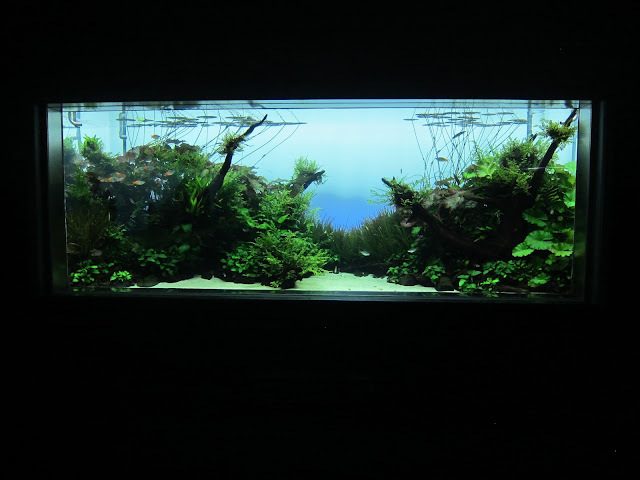 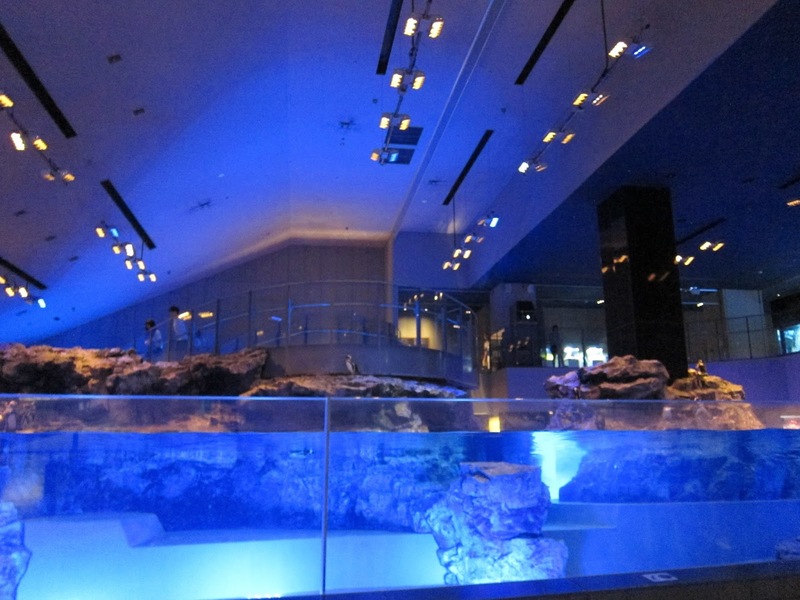 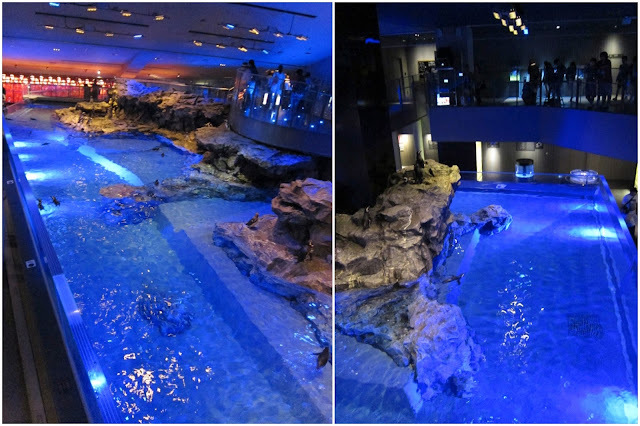 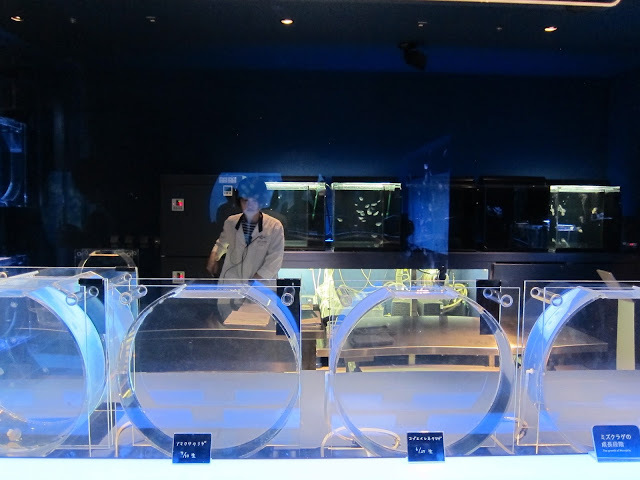 I like this aquarium because it has a special Zen quality to it, something echoing of the Japanese minimalist style. 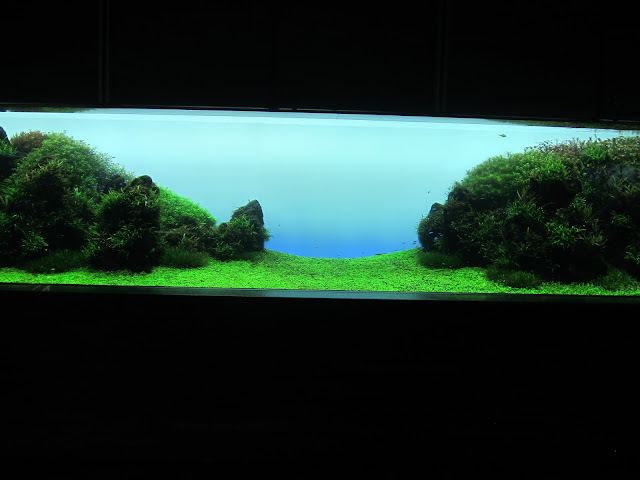 This tank reminded me of Rhein II by Andreas Gursky. 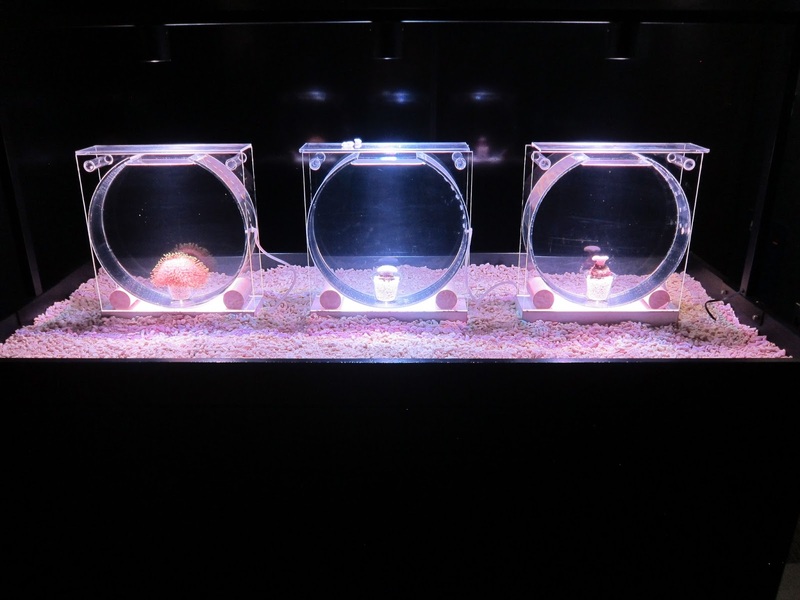 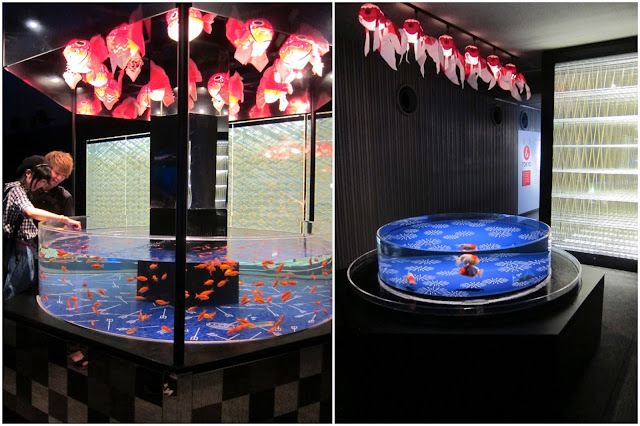 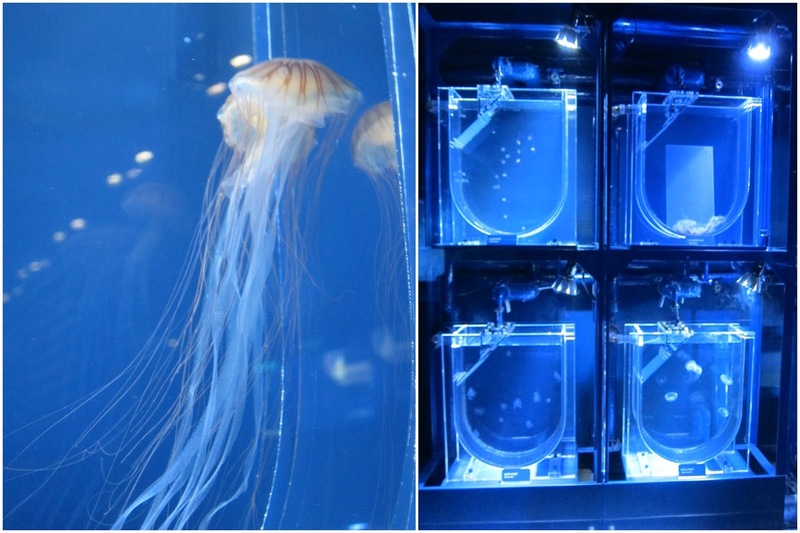 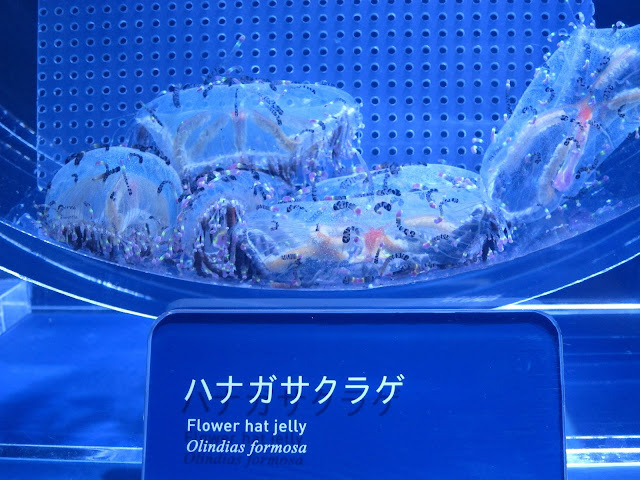 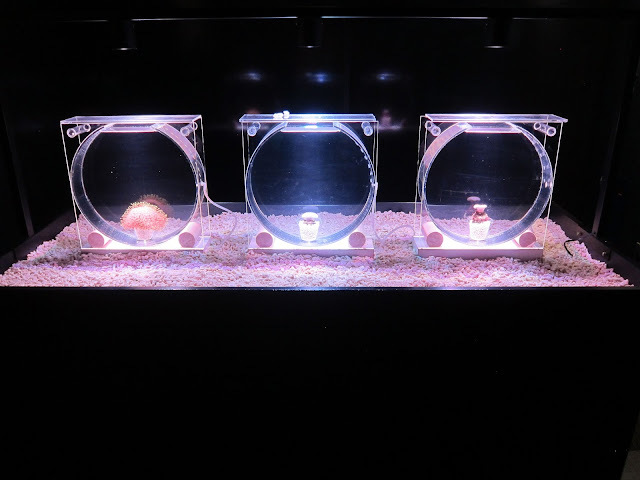 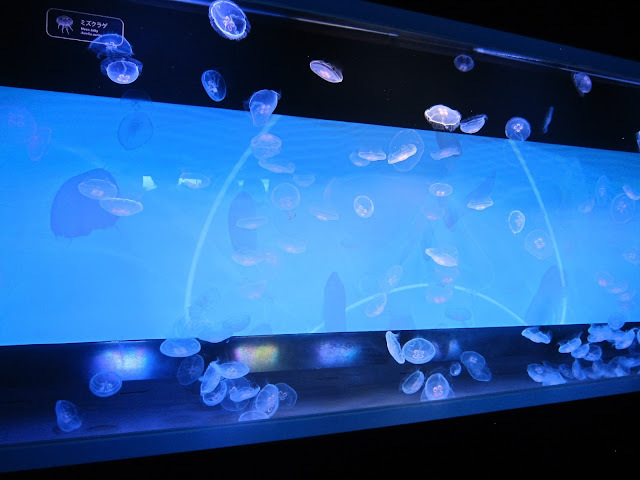 This very chic aquarium is also educational, in that it offers glimpses of the jellyfish lifecycle. 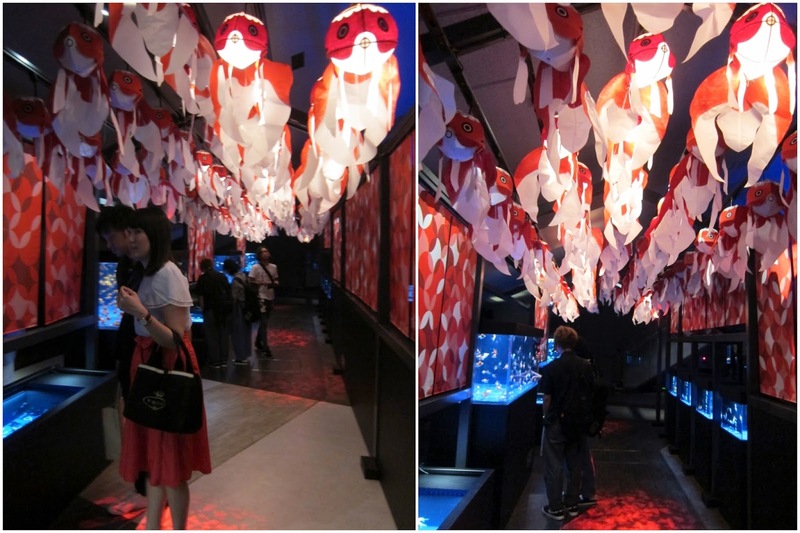 I also really loved their atmospheric jellyfish walk way. 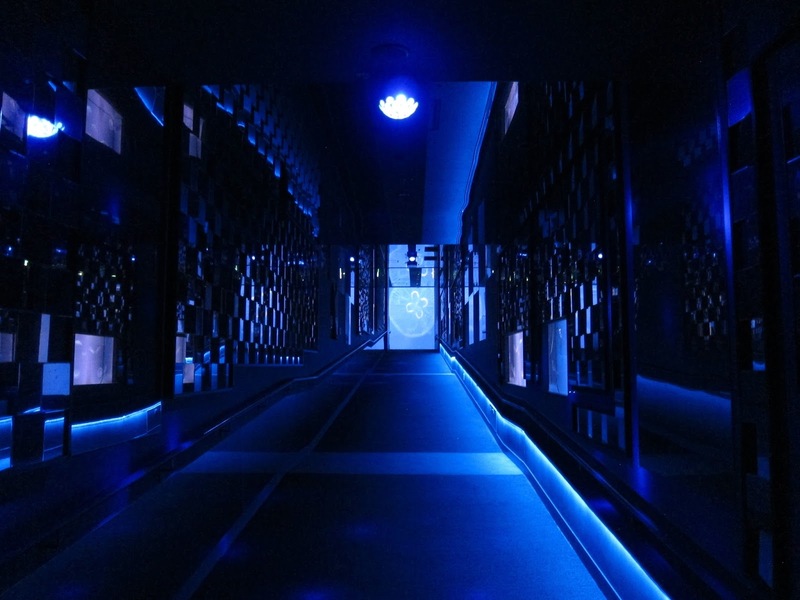 You can tell that this place tries to set a certain mood. 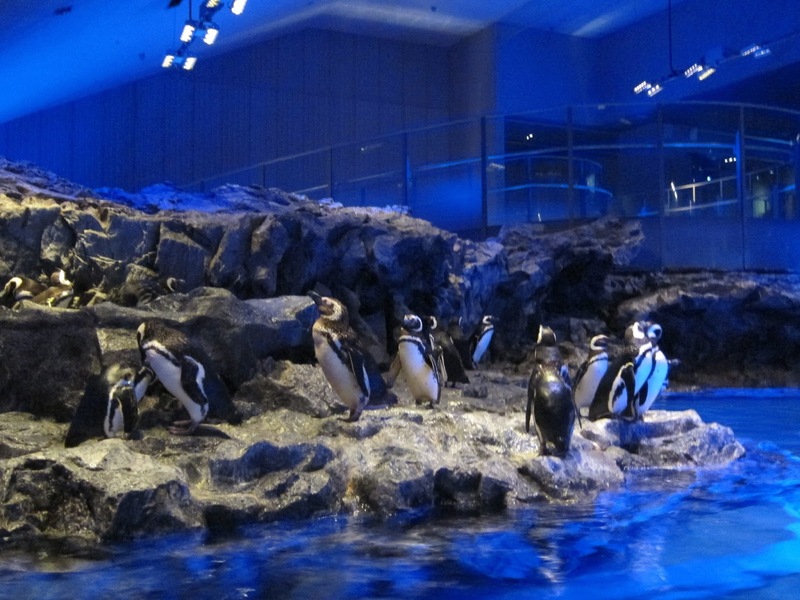 The main (and largest) attraction of the aquarium is the penguin exhibit. I tend to consider penguins animals of the land and will always find it strange to see them in aquariums. 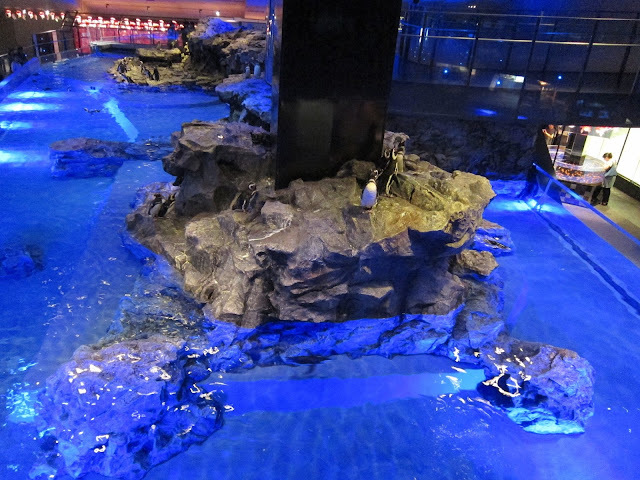 There were also a few large tanks that provided opportunities to see giant aquatic animals. 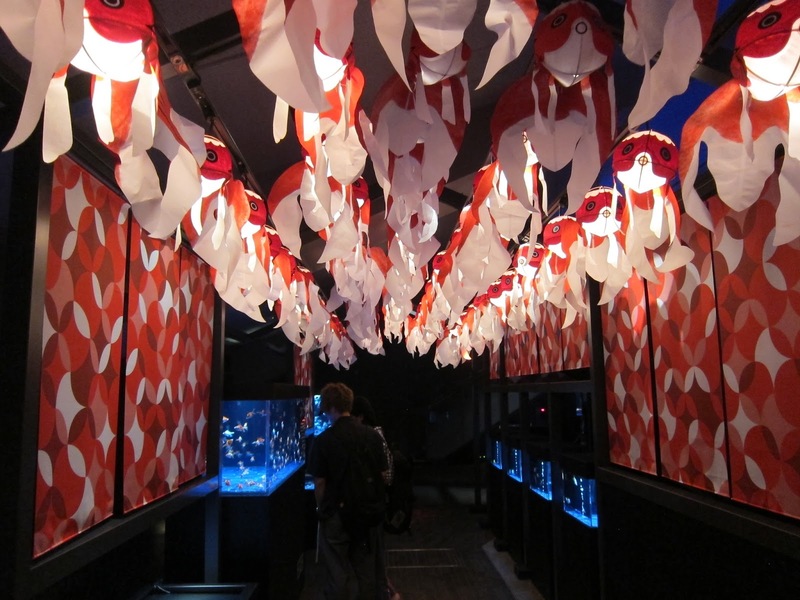 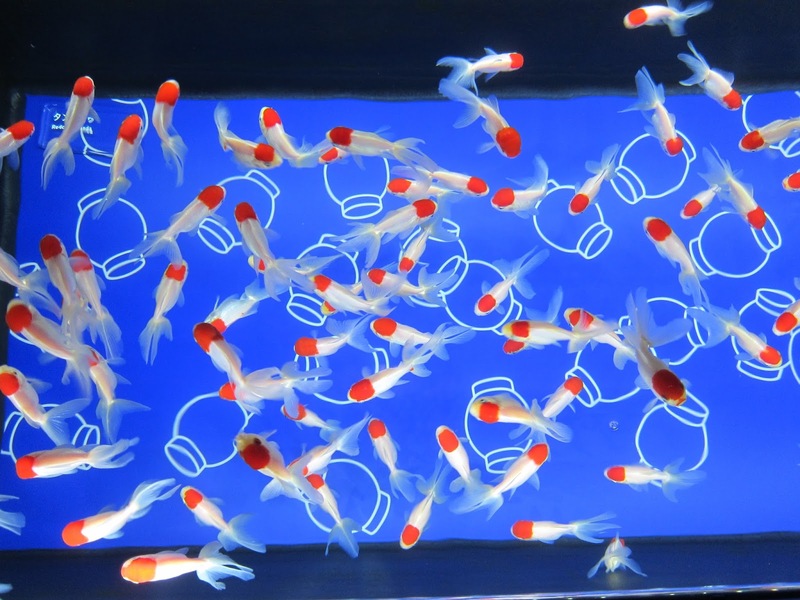 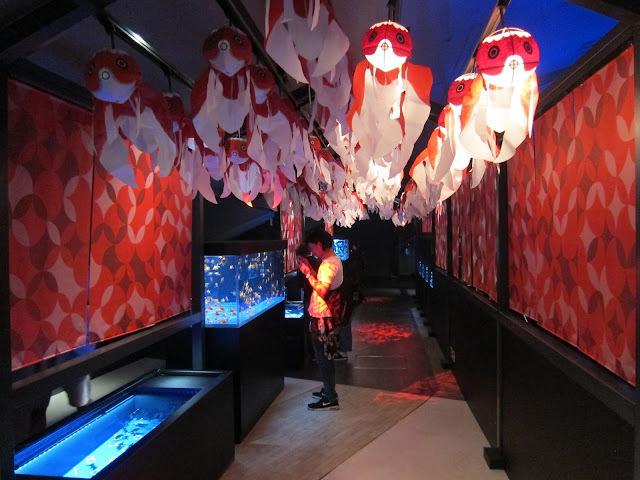 There is also a sweet walkway of goldfish that was stylized like a festival parade. Overall the aquarium really spoke to aesthetics.